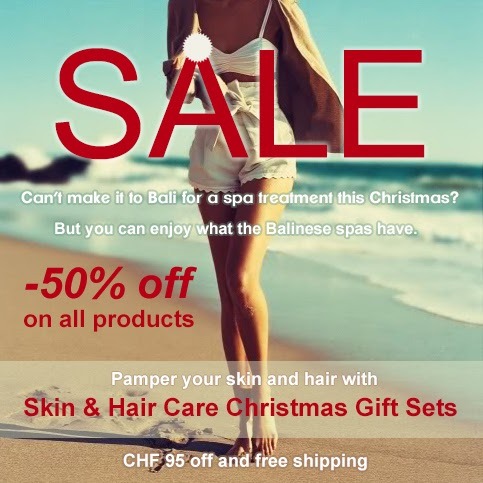 Bali Cosmetics: Beauty Blog: It is Christmas time at Bali Cosmetics! It is Christmas time at Bali Cosmetics! Check out our fantastic Skin & Hair Care Christmas Gifts with 95 chf off and free worldwide delivery! Order Christmas Gift sets now at Bali Cosmetics! Compose Home-Spa Gifts yourself for your beloved ones. -50% on all products! ugh I have never had a issue with an scratchy head about Cosmetic but as of delayed, it has been getting bad. so so bad. I'll have to provide this a try!